Chasm's random world ensures that you cannot predict what will happen next. Chasm attempts to keep the player on their defense with each new playthrough. This Metroidvania style platformer generates an entirely new layout each time you play, randomizing the labyrinth and packing each area with deadly monsters. 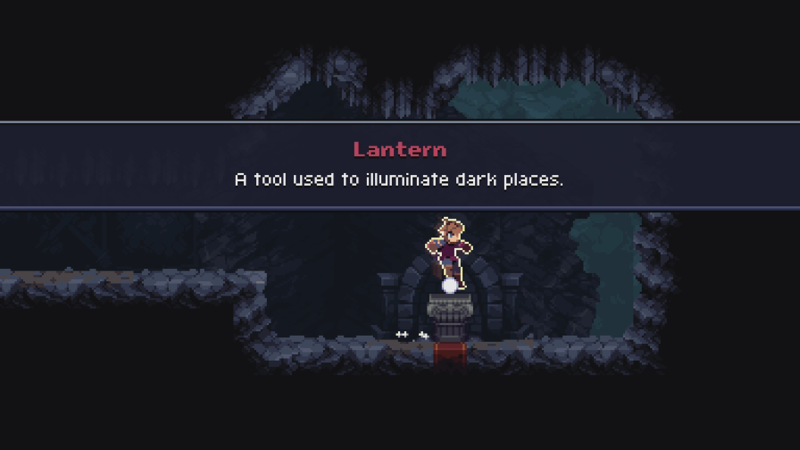 The story is light and the random environments can link together some vexing platforming challenges but Chasm's random world ensures that you cannot predict what will happen next. Chasm has you in control of a new recruit for the Guildean Kingdom who wants nothing more than to prove himself. After receiving word of disappearing villagers you eagerly take on the task and head out. You find out that the villagers were dragged into the mine by deadly monsters and now must dare difficult challenges to save the people inside. Throughout the layered mine are deadly monsters, journal entries, powerful artifacts, treasure, and journal entries. The townspeople you rescue and journals provide insight into the world but the focus remains the gameplay. Melee serves as the primary form of combat with different types of weapons. Each one has its own animation of attack such as large axes requiring the protagonist to swing over his head or daggers lacking range but having faster swings. While the RPG elements would encourage players to equip the strongest weapon knowing what type of weapon is ideal for each situation will ensure your own survival. Enemies come in a wide range of types, each distinct with specific attack patterns. Unlike the protagonist, these creatures can take a hit and within the early hours, you're going to die. 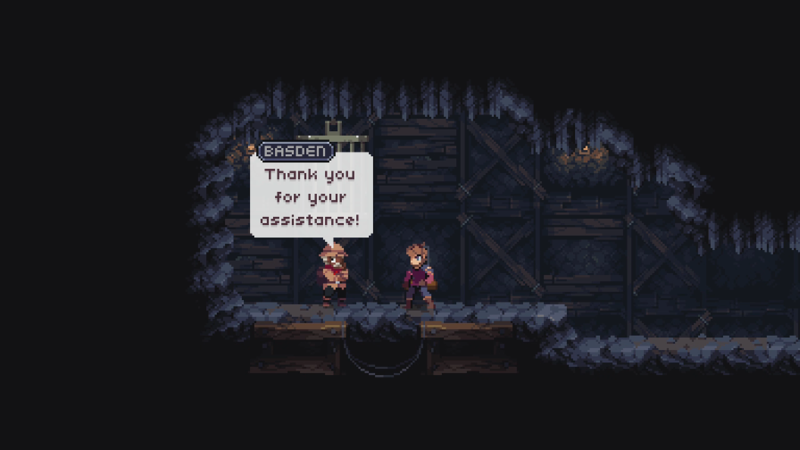 Instead, relying on exploiting enemy attack patterns is paramount during the early and end portions of Chasm. You can level up to increase your own health but armor and weapons play a bigger role in dealing with damage both offensively and defensively. And you're going to need every advantage when you face the final set of bosses. Chasm has over 90 different types of enemies. Many of the are well-animated and complement the area they roam. You can learn more about their behavior through the bestiary, however, this requires you to kill them a finite amount of time to find out their full information. Chasm does have a wide selection of traditional items such as healing, artifacts that add new skills, and other boosts. If you feel you need an extra boost saved townspeople can offer assistance with new weapons, armor, and items. However, some require help before they can help you such as locating items. Temporary boosts are also littered across the environment that last pretty long but that goes for negative debuffs as well such as poison. Chasm's randomly generated world is the game's biggest strength and weakness. Since the game does a poor job of explaining what to do next guides are mostly unless and you'll have to figure out the general direction yourself. In addition, the game is notorious for generating punishing platforming challenges that require near-perfect jumps that are sometimes guarded by enemies right near the ledge. Chasm is a beautiful game. The environments and characters that fill this world have been wonderfully crafted with intricate detail. Moving through the world is smooth and there wasn't a single hiccup to break up the action. 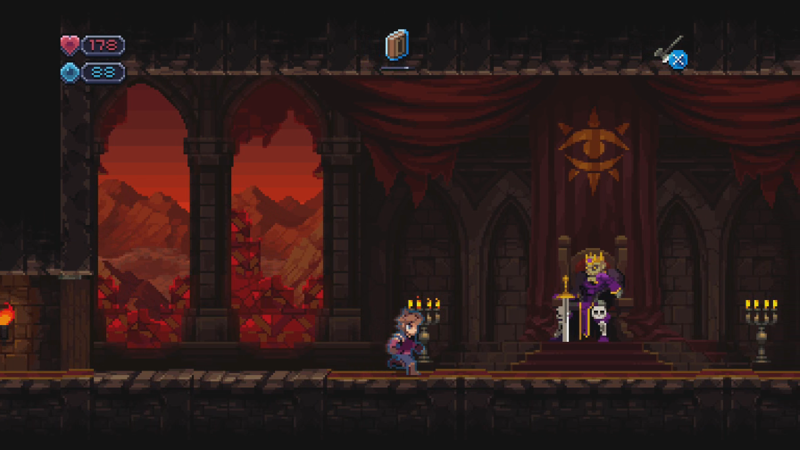 Chasm is a delightfully challenging Metroidvania title. It's doesn't add anything new to this established genre but it captures all the right qualities such as exploration, combat, and excellent boss fights. The story may be lack but the constant challenge of taking on a new layout adds a lot of replayability.